Rather overshadowed by RE's announcement less than 24 hours later, but 0 A.D. has finally reached Alpha status. Although playable there is no AI, so the computer players will not do anything, however there is muliplayer available if you can find a friend to play it with. For those of you aware of 0 A.D. you have probably already downloaded and played the pre-Alpha and Alpha version, for the rest of you a little info on 0 A.D.
A solid example of how the things should have been made. Period. But as everybody knows, it's the game-play what makes the difference. I've been checking up on this for over a year now and it's awesome they finally released an alpha. For multiplayer, I wonder if you could play it over Steam? Nope, they appeared together with Roman and Carthaginian at least in Imperivm II, an RTS of FX Interactive in 2003, about the Punic wars battled in Hispania. I watched the video on their site and it seems so slow. It looks like all the unit movements and battles are in slow motion. Don't forget this is only at the alpha stage, so is still very much a work in progress, download the game, try it yourself and then see what you think. I love the guys at WildFire. I only hope they can release it fairly soon, I know they've picked up the pace quite a bit lately. But it's still losing its innovation with every passing month. It looked absolutely stunning a couple years ago but the graphics haven't gone anywhere since then while every other game is whipping out the latest technology and beautiful graphics and models with great optimization and performance. Don't get me wrong, it's a truly amazing feat for an indie game, and especially for a freeware game. I love the guys at WildFire Reverie. I only hope they can release it fairly soon, I know they've picked up the pace quite a bit lately. But it's still losing its innovation with every passing month. It looked absolutely stunning a couple years ago but the graphics haven't gone anywhere since then while every other game is whipping out the latest technology and beautiful graphics and models with great optimization and performance. Heh, tell me about it. Though we are reworking a lot of the graphics and release isn't too far away. I haven't got a problem with the graphics. Sometimes there's a line where enough is "enough" and anything further is very cool but not essential for the game as a whole. For instance, exquisite raytracing and rendering aren't required for most skirmishes, quests, RPGs, and even most in-game cinematics. 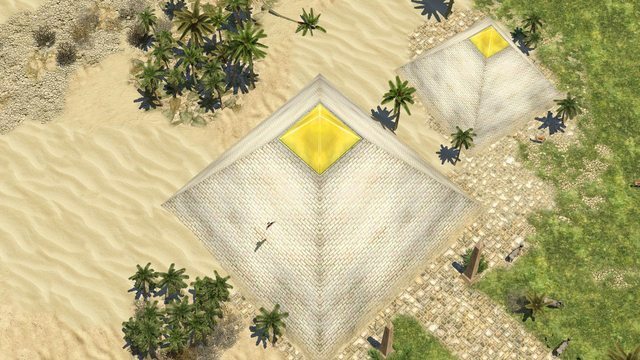 The line is about where AOE3's graphics top out. 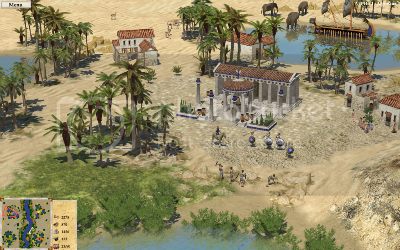 0 A.D. meets or exceeds that level in its current form, but much more than that and you are installing a diorama creator. As an open-source game, the graphics, physics, etc aren't hardbound to the game exe but can be upgraded along with the game. So if in the next year or so, players and graphics specialists decide they want to push the envelope for those eye popping cinematics or God powers with animated lightning bolts, then it's a lot easier to do it open-source than it would be to reverse engineer it into AOE3 or AOM. I'm with Saffah on the graphics issue, I think the graphics look good at the moment anyway, especially things like the water and the units. Yeah, they have beautiful water. And most of their other buildings and units look great, I just thought the ones in the op screenshot looked a bit dated. And the historical accuracy is definitely something other games should pay more attention too. I took the OP screenshot myself from the Alpha release . It has been compressed a bit by photobucket which might explain things. Installing now and gonna pass these dated buildings through my dual 1Gb DDR5 graphics cards. The Ionian ships maneuver in the Cayster River near Ephesus. I haven't had much chance to screw with the Editor because it keeps crashing whenever I zoom in maximally (it does not crash when I do this in-game). However, I did get to see that all the lighting effects and triggers Sir Constantin and I worked on last year are AUTOMATICALLY built into the editor in a very tidy GUI format. Basically you slide the sun around, change the colour and reflectivity of your water, scale the wave anims, etc. and you can fine tune the weather and lighting effects in ways you couldn't dream of doing in AOE3, or at least without a solid coding knowledge. Also, the only terrains in the Alpha are those for the two map types, desert and Mediterranean pine scrub. Haven't had a chance to dig around in the Object list but it looks like all the promised civs have fully animated and skinned objects in there - Gaulish pikers, Persian units, buildings, etc. The names are sometimes off. Trial and error should get you the buildings and units you want. You write your own "triggers" and add them into the box. THese range from event scripts to special animations and sounds. It's much easier than hunting for frequently used trigger effects in a gigantic drop down list. I've got a list of bugs about a notepad page long, will look on the trac site to see which if any are novel observations. edit @Pawelec_PL: The shallows are passable by both ships and land units. 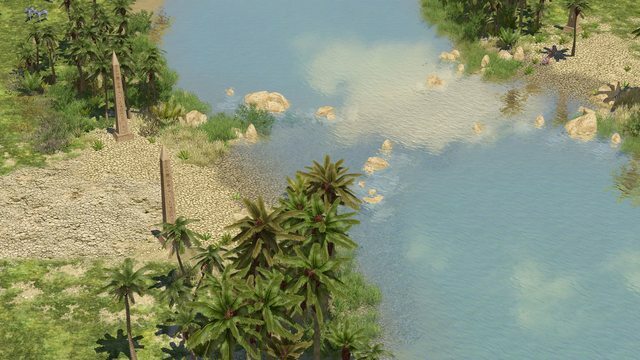 @ Alex: Is there a middle ground for graphics between "omg full graphics" and "disable shadows and water"? One thing I noticed even on my dual gfx card system was jumpy lag when switching between units. I want a little less rendering detail in the trees and textures, a little less detail in the water, but do not want to turn off all shadows and all water rendering. How much of the gfx are handled on the CPU and how much on the GPU, and can I change this? Considering this is just a "alpha" I'm liking it. I played around in their multiple maps (3-4)in the single section. They can gather 4 different resources and most units can gather any resource (including troops). Was able to attack and fight "player 2" on one map, they didn't build, etc. as stated in game site copy. Couldn't figure out how to upgrade to next level or establish a new settlement at the settlement sites ((like AOM). You could build a settlement at any other location, similar to all buildings). Appears they are still working on gathering resources from animals as you units follow the animals "picking up" droppings from the animal until they have gathered all meat value from the animal. You can gather meat from animals, berry bushes and crop fields but the available resources per source is less than AOE3. Do to the inability to upgrade, I Haven't figured out how the market, lumber mill, etc. play a part in the total game. The dock has a merchant ship (like AOE2) and you have a trade merchant who's available at the market. Looks like "trade" will play a part like older AOE games. Without the "fog of war" in play it's difficult to locate your units and there isn't an idle villager indicator. Although this is the "alpha" download, it plays and appears to be what AOE3 should have been. Unfortunately, the healer, from the Temple doesn't said "WOLOLO! ", but hey there's a chance, it's still just an Alpha. "Don't forget this is only at the alpha stage, so is still very much a work in progress, download the game, try it yourself and then see what you think." Thank you for the post, it is great, i'll enjoy the game more. those are some pretty sweet screens, Saffah. clearly from the alpha there's a lot more work to be done and features to add, but it still looks pretty sweet and I love the environment it generates. Also, try out the camera controls. WASD for movement, then Q and E for rotation. Ctrl+W and Ctrl+S do pitch. H key takes camera back to default seemlessly. To make a local copy with your changes (so you can always have a default file), just copy the lines you want to change into a text file, change the values, then save it as local.cfg. Your changed lines will overwrite only those lines in the default when you load the game. This is very basic modding. In the future there will be a settings page in-game that will do this for you. Welcome to Ardobriga, an Iron Age Celtic hill fort in what is now Galicia, in northern Spain. It is now April of 520 A.U.C. (233 BC) and war ravages the kingdoms to the south. Far to the northwest, the village of Ardobriga is nestled between the harsh mountains and the brutal Atlantic. Chieftain Maglawn exhorts his javelineers before a sortie against a neighbouring fishing village. Spring piglets root in a pen behind the hill fort. Closer look at the keep and the bailey of Ardobriga. Looking northwest towards the docks and the setting sun. View from the eastern shore of the river in which the isle Inis Lyn sits.